Give as you Live allows users to raise free funds for charity as they shop. 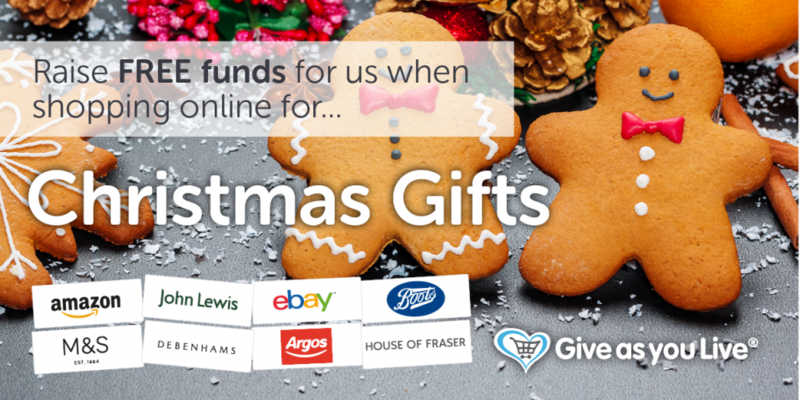 With over 4,200 top stores involved, it’s easy to donate to your chosen charity as you go about your online shopping – which you might be doing a lot of around this time of year! If you are signed up to Give as you Live, the store you choose to shop at pays a percentage of your total purchase price in commission, and from this, 50% is donated to your charity of choice. Give as you Live is free to join and use, and offers an easy way to donate to charities at no extra cost to you. New Life Home Trust UK is one of those charities you can support as you shop, along with national charities, local schools, churches and social groups. You could raise from 1-10% of what you spend at your selected retailer, or it may be a fixed amount. Although it may not seem like a large amount, each time you shop the donations add up and contribute to the vital work we do. As well as being free for you to join, Give as you Live is also free for charities to be part of, as they do not have to pay any joining or payment fees, this ensures 100% of the donation will come directly to us. Your donations could help us to cover the costs of running our Kenyan homes providing food, clothing, medicine and all the other requirements enabling us to care for our rescued babies and children. So why not help boost our funds this Christmas as you shop by joining Give as you Live? It’s quick and easy to sign up and doesn’t cost you a penny!